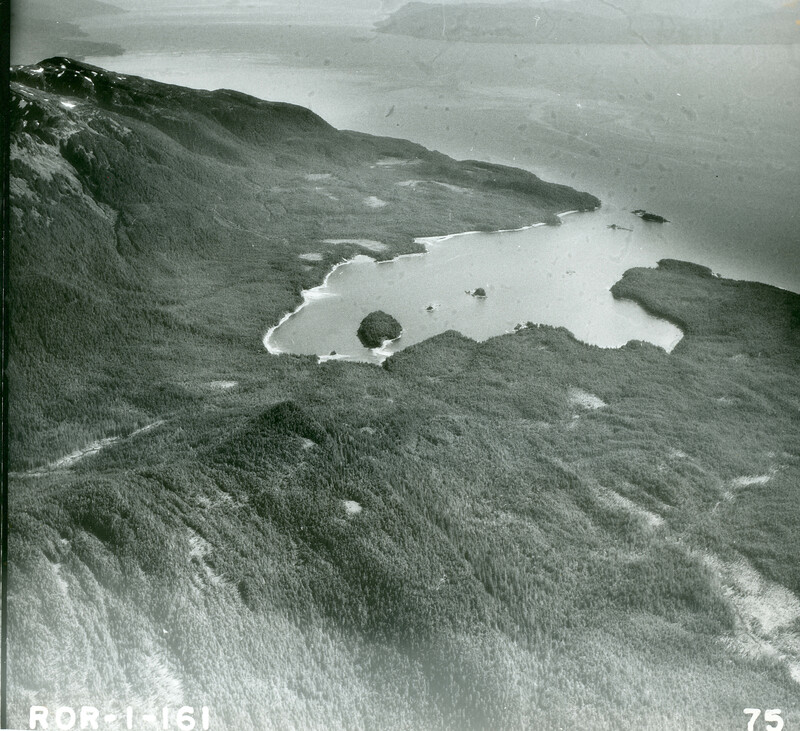 I recently came across some additional photos from the 1929 Alaskan Aerial Survey, conducted by the US Navy. Thanks to Richard Carstensen for sharing these! Richard had an excellent website at juneaunature.org. Also thanks to Kim Homan with the Southeast Alaska GIS Library for providing some reference information. They have put together An ArcGIS interface for locating and viewing additional aerial photos from this set. These are very large photos, click to open them full size (may take a while to load on a slow connection). Green Mountain is in the foreground on the left. Mt Robert Barron is further ahead on the left. The large island at the head of the bay is Highwater Island, with a medium tide filling the estuary behind it, but not covering the sandbar connecting it to shore. The next photo is not at Funter, but across Lynn Canal at Swanson Harbor (behind Point Couverden). 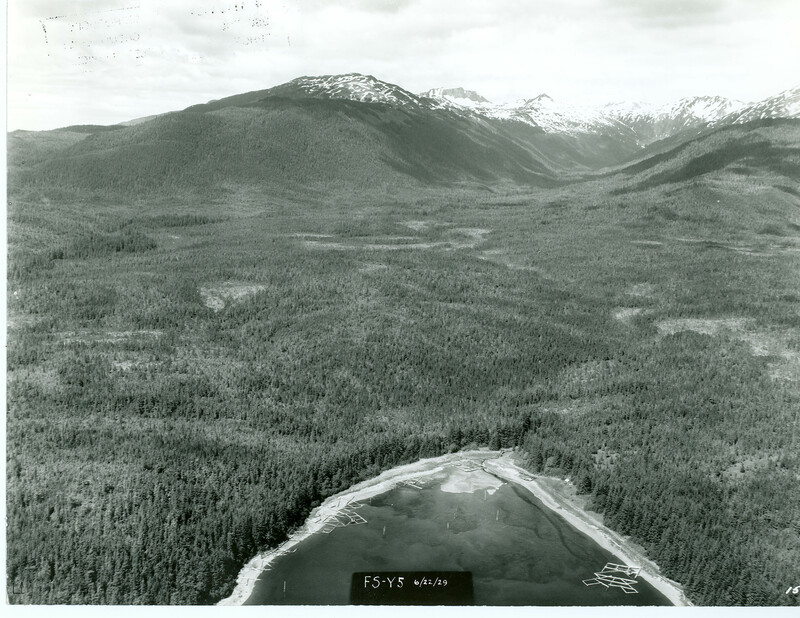 This location was used by the Thlinket Packing Co to store fish traps in the winter, and as a convenient harbor for packers during rough weather. I found it interesting because several complete and partial fish traps are seen stored in the shallows at the head of the harbor. 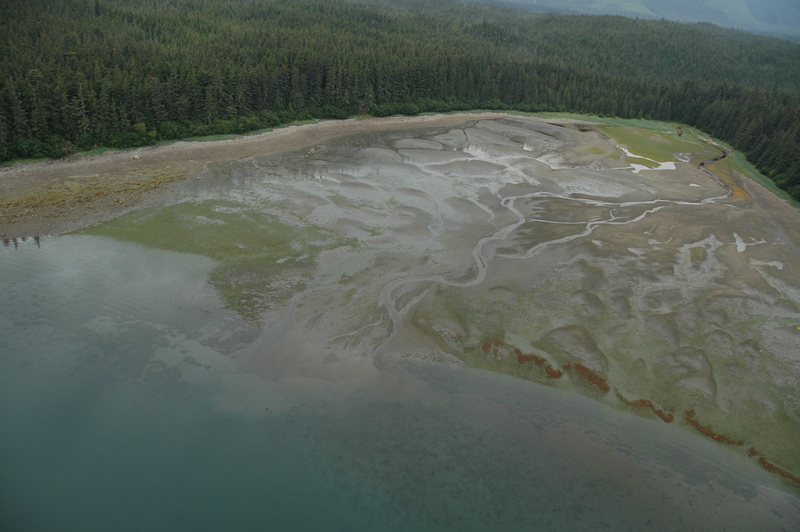 Photo from NOAA Alaska Shorezone (https://alaskafisheries.noaa.gov/shorezone/) used as public domain. The traps have long since disintegrated from weather and tides, ending up as mossy logs on the beaches. The pilings driven into the mudflats in the 1929 photo have also disappeared. 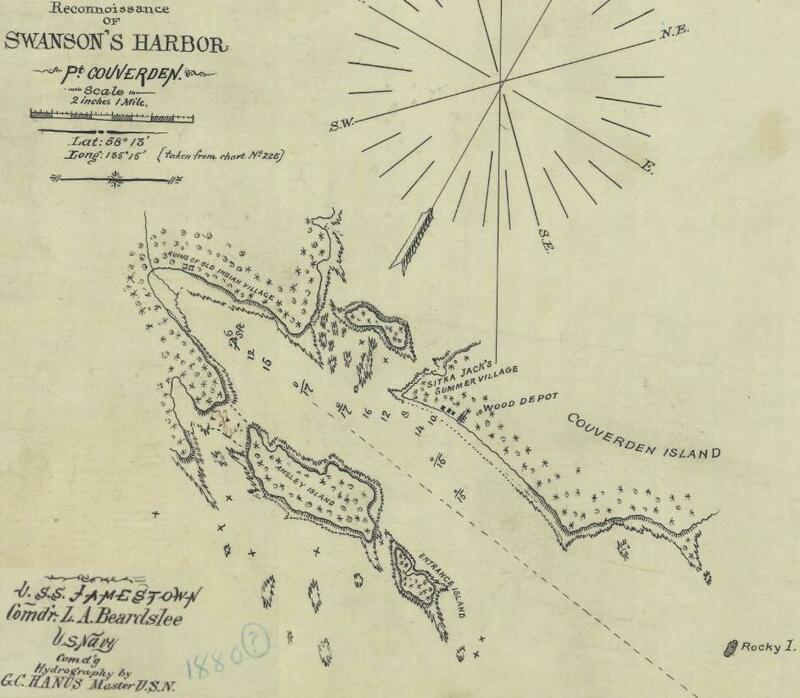 This entry was posted on Wednesday, August 20th, 2014 at 12:14 pm and is filed under Alaska History, Funter Bay History. You can follow any responses to this entry through the RSS 2.0 feed. You can leave a response, or trackback from your own site.